Market volume in the electronics industry is more than EUR 3.5 trillion, making it one of the most important branches of industry in the world. Its significance continues to increase. Whether it comes to PCBs, semiconductors, sensors, plug connectors or displays: Electronics are a permanent part of our everyday lives. Established in 1981, COMPUTEX TAIPEI is the leading global ICT and IoT show with a complete supply chain and ecosystems. Extreme miniaturization coupled with increasingly higher computer performance, efficient communication of networked, often also mobile systems – the developers of embedded systems have to meet enormous requirements. The reliability of electronic systems, distributed intelligence, the internet of things and solutions for future themes such as e-mobility and energy efficiency are the main topics right at the top of the agenda for the embedded sector and industry. Each year the embedded world Exhibition&Conference in Nuremberg offers the embedded community the opportunity to obtain information about new products and innovations, enter into an exchange and to maintain and develop valuable contacts. Around 1.000 exhibitors are presenting state-of-the-art technology in all facets of embedded technologies, from construction elements, modules and complete systems through to operating systems and software, hard and software tools right up to services covering all aspects of embedded systems. FRONTIER AIRLINES CENTER, Halls A & B / U.S.A. In entspannter Atmosphäre genossen 34.598 Verpackungsprofis vom 24. bis 26. September 2013 die FachPack im Messezentrum Nürnberg. Dafür sorgten 1.440 Aussteller mit außergewöhnlichen Produkten und Dienstleistungen rund um Verpackung, Technik, Veredelung und Logistik. Kentucky Expo Center / U.S.A.
ICUEE, the International Construction and Utility Equipment Exposition, also known as The Demo Expo, is the exposition for hands-on demonstrations of construction and utility equipment. Attendees can operate the equipment themselves and explore the newest industry products and innovations. Las Vegas Convention Center / U.S.A.
More exhibitors. More exhibit space. More solutions. PACK EXPO Las Vegas 2011 is breaking records and expanding to deliver the largest and most comprehensive packaging and processing trade show experience in North America this year. Seguriexpo Buenos Aires thus ensures the support of Messe Frankfurt's 28 subsidiaries, 5 head offices and 52 agencies worldwide for more than 150 countries. This situation will allow an increase in the number of national and international visitors, potential industrial buyers, who are attracted by the quality of Argentinean products and their current positioning. 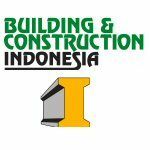 The 16th International Series of Building and Construction, Equipment & Materials Exhibitions BUILDING & CONSTRUCTION INDONESIA 2011 including The 10th Internaional Marble, Granite and Ceramics, Equipment, Materials & Products Exhibition MARBLE, GRANITE & CERAMICS INDONESIA 2011, The 10th International Interior Design, Lighting, Aircon, Kitchen & Bathroom, Textile and Flooring Exhibition INTERIORS INDONESIA 2011 and The 9th International Specialist Vehicle Exhibition for the Construction and Mining Industries TRUCK INDONESIA 2011. Mobile Equipments & Services, Wireless Components, Telecommunications & Internet Services, Network Components, Computer Systems, Multimedia, IT Security Tools, E-Learning, Integrated Call Centre Systems, Voice Processing, Ethernet, Telemarketing, Service Providers, Customer Service Centres, Music & Messaging, Call Management Systems, Software Tools & Development System, Enterprise Solutions, Satellite Communication & Broadcasting etc. The MIrage Hotel and Convention Center / U.S.A.
Based on attendee feedback, Data Center World now features two conference pass options. Register for the Standard Conference Pass for access to over 65 educational sessions and the Exhibit Hall. Select the Premium Pass to get access to the full conference plus a full day of Workshops, Tutorials, and a special networking reception. See conference pricing details below. Mit rund 23.000 Fachbesuchern hat die eltefa auch 2013 wieder ihre Spitzenstellung als wichtigste Landesmesse der Elektrobranche unter Beweis gestellt. Ein Ende der Aufwärtsentwicklung ist auch für 2015 nicht in Sicht. Durch die dynamische Entwicklung bei nachhaltiger Energieerzeugung, intelligenter Energieverteilung und dem Trend zu Smart Homes gewinnt die Elektrotechnik immer größere Bedeutung. Eine besondere Stärke der eltefa ist die Sicherheit von Gebäudesystem- technik. Nirgendwo sonst wird dieses Thema so vielseitig, lebendig und faszinierend interpretiert wie bei den Ausstellern, in den Themenparks, auf den Foren und Kongressen dieser Elektrofachmesse. Und das mitten in einer starken Wirtschaftsregion, in der führende Unternehmen und Impulsgeber der Branche zuhause sind. The Global Security Asia Series presents a counter-terrorism platform for the Homeland Security Industry in the Asia Pacific Region. It addresses the fundamental issues of global terrorism. It is an international platform for Governments and Industry to meet and share experiences and to discuss the use of state-of the art technologies and equipment to meet the current and future threats. 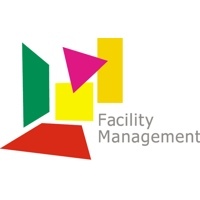 Facility Management 2014 closes with positive result After three successful days, Facility Management 2014 terminates with a throughout positive result. We are looking forward to welcome you at next years’ Facility Management from 24 - 26 March 2015. 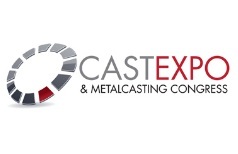 Exhibition and forum CSTB has long been recognized by industry professionals television and Telecommunications as the most significant event in the field of electronic media in Russia and CIS countries. The annual success of this event is directly related to the dynamic structure of the organization exposition where all the new and rapidly developing technology in the field of TV and telecommunications are presented in the forefront in all aspects of the exhibition, forum and related activities. During its existence, CSTB has acquired the status "window" through which you can look into the future and know what solutions, technologies and business ideas will own minds suppliers, developers and users in the near future and in the long run. 800 senior defence, intelligence, geo and multi-int officers will be gathering at DGI 2014 in London, 21-23 January 2014, to discuss the challenges facing them and their teams. Intersec recently concluded its 16th edition at the Dubai International Convention and Exhibition Centre drawing great success from the regional and international safety and security community. The event was held under the patronage of and officially inaugurated by H.H. Sheikh Mansoor bin Mohammed bin Rashid Al Maktoum. The three day event which featured 1,213 exhibitors from over 50 countries was replete with a fringe programme of add-on features including a range of outdoor demos on tactical rescue operations, a series of conferences and workshops. All kinds of Test/Inspection Equipment such as Vision/X-ray Inspection Equipment, Testers, Environmental Test/Reliability Equipment, Evaluation Inspection Equipment and Analysis Equipment will gather at ELECTROTEST JAPAN! 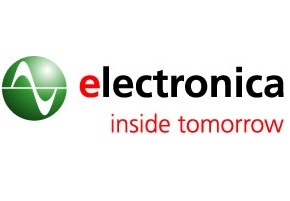 Attracting unrivalled number of visitors from electronics assembly manufacturers, automotive/device manufacturers, PWBs/PCBs manufacturers and electronic components manufacturers from inside and outside Japan, ELECTROTEST JAPAN has established itself as Japan's LARGEST business platform for electronics testing. India Telecom 2013 event, bring together more new companies as demand for greater connectivity increases specially in Rural India, new technologies continue to be deployed and more players come into play. The event has already witnessed strong exhibition space bookings by new exhibitors. Fixed and mobile telecommunications, Cable technologies Document telecommunications, Measuring instrumentation for telecoms ISPs, Telecoms services Broadband networks, Computers and computer technology ASPs, IT and software Last mile technology, Office technology equipment, Satellite communications, Banking technology equipment, TV and radio broadcasting Safety and security systems. AIDC industry & the labels & labeling industry which includes Barcode Technology, Electronic Articles Surveillance, Radio Frequency Identification, Card Technologies, Mobile Computing, Biometrics, Security Solutions, Real Time Locating Systems, Wireless & Networking Solutions, Other Technologies Including Contact Memory, Voice Recognition, Magnetic Ink Character Recognition, Optical Character & Optical Mark Recognition, Machine Vision. 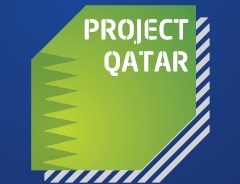 Ministries and Education Boards, Universities, Colleges and academic institutions, Professional training Centers, International and regional Education Organizations, Language learning Centers, Learning Aids, Labs, Vocational and Technical Supplies, Educational Tools and Scientific Equipment, Global Business Schools, Distance Learning IT and ICT, Seminars& Presentations technologies, Textbooks, Software's and publications. The season of international exhibitions organised in Azerbaijan by Iteca Caspian will begin this April. All of the exhibitions have official support from the state bodies of Azerbaijan. A number of the projects will also have the support of international unions and industry associations. The international status of the events is reinforced by Iteca's membership of UFI, the Global Association of the Exhibition Industry. The exhibition results are assessed every year for the accuracy of data and level of organisation, with the "UFI Approved Event" status being awarded. The work of the international network of ITE Group Plc offices to help with the organisation of the exhibitions and conferences in Baku makes an important contribution to their success. These offices include ITE Moscow (Russia), EUF (Turkey), GIMA (Germany), ITE China (China) and ITE Gulf (UAE). The offices work together to attract international companies to exhibit at exhibitions in Azerbaijan. Integrated Compact Controls, Periphery Equipment & Electromechanical Components, Components for Industrial Communication, IT-Integration, Measuring & Sensor Systems, Image Processing for Industrial Applications, Drive Controls, Training & Consulting. 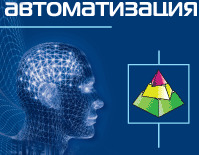 The 10th International Exhibition for Power Electronics, Energy and Energy Saving will take place on 25.11 – 27.11.2014 at the Crocus Expo in Moscow. 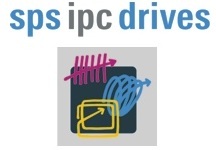 SPS IPC Drives is one of the largest international exhibitions for electric automation technology. The special: It covers not only all components but also systems. 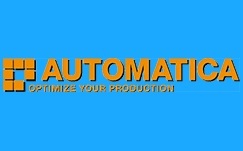 Herewith it is one of the few exhibitions which offer integrated automation solutions. Exhibitors and visitors profit from the advantage that visiting numerous exhibitions on components becomes superfluous. With a topic structure relevant to industry and the clear-cut relevance of contributions to applications, the SPS IPC Drives conference lectures and tutorials provide an excellent platform to discuss new technologies and innovative applications. LuxLive 2013 is now over, with a record-breaking total of around 6,500 people visiting the show over the two days. 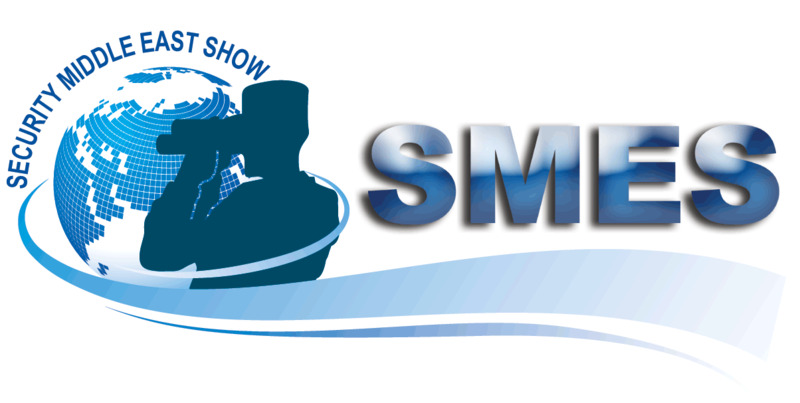 We’re now looking forward to the even bigger, better show planned for 19-20 November 2014 at our new venue of ExCeL London. Come along to meet with the world’s biggest lighting brands, hear from experts in hours of free talks and debates,and be inspired by the latest tech. Get LuxLive 2014 in the diary now! 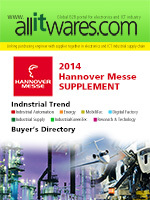 Show your products and innovations from 18 - 20 November 2014 in Frankfurt am Main, Germany. The exhibition offers you the perfect platform to present your product range. Convince the trade visitors, a high-qualified audience, that you offer the right solutions for their ID tasks. McCormick Place-North & South Halls / U.S.A.
North America's largest metal forming, fabricating, welding and finishing event will be held at the North and South Halls of McCormick Place, Chicago, Illinois, USA, November 18-21, 2013. The upcoming event is expected to cover more than 500,000 net square feet and anticipates over 35,000 attendees and 1,200 exhibiting companies. VISION 2012, the world's largest and most important annual trade fair event for the machine vision community, has even more to offer for a wide-ranging audience such as the Medical Discovery Tour and the Integration Area, directly for the end users. The exhibition presents the latest machine vision components such as cameras, sensors, frame grabbers, illumination, lasers, optics, software, as well as machine vision systems, application solutions and services, at the Stuttgart trade fair grounds directly beside the airport. Electronic ignition system, Electronic fuel injection system, Electronic route guidance system, Electronic regulator, Electronic control automatic transmission, Electron beam scanning system, Electronic power steering system, Electronic brake-force distribution control, Vehicle drive control system, Electric control hitch system, GSM/GPS receiving equipment, Automotive system for office work, Electronic instrument, Power hybrid system, Energy management system. The 12th China International Exhibition on Public Safety and Security 2014?Security China 2014? It will be held in China International Exhibition Center (New Center), on October 28–31, 2014, in Beijing, P.R. China, which is the biggest security distribution and procurement center in China, and would be mainly focus on the big market in North area of China, and also provide a big platform for the exhibitors to meet the government level buyers and high management for purchasing in different industries. Communications Technology and Infrastructure, Internet, Satellite Communications, Networks, Basic and Mobile Telephony, Info Security, Wi Fi, Storage, Software, Hardware, Data Consulting and Services. The Call for Papers for Strategies in Light Europe 2014 – Exploring the New Horizons of Lighting, which will take place on October 21-23 at the M.O.C. Event Center in Munich, Germany, is now open. 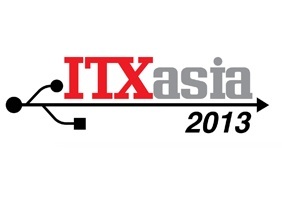 ITX Asia 2013 is the 2nd ICT and ERP Trade exhibition serving Malaysia and the Asean region. It aims to assemble vendors, suppliers and consultants of technology for business to meet business face-to-face, allowing seamless on-boarding to the world of technology. PC, Electronic Components, Communication network technology products, software, office equipment, modern OA products, family entertainment digital products, personal information products and the trend of 3C. 主办单位: Fiera Milano International S.p.A.
carriers, fiber optic, pcs, broad band, call centers, Lan and Wan Technologies, Software, PBX, pagers/paging, modems, cellular/basic/digital phones, networking, etc. 主办单位: E.J. Krause & Associates, Inc.
Meet face-to-face with thousands of the world’s most influential and motivated manufacturers, equipment suppliers, and end-users who come to evaluate products and services and get the information they need to conduct business within the global LED and lighting industry. The 9th China International Machine Vision Exhibition and Machine Vision Technology & Application Conference (VisionChina2012) will be held on October 16-18, 2012 at China International Exhibition Center, Beijing, China. Jointly organized by Machine Vision Professional Committee under China Society of Image and Graphics and CIEC Exhibition Co., Ltd., VisionChina2012 will serve as an efficient platform for showcasing latest machine vision products and technology as well as conducting trade exchanges. 主办单位: CIEC Exhibition Co., Ltd.
Where IT works – IT & Business, Trade Fair for Business Solutions, DMS EXPO, Leading Trade Fair for Enterprise Content Management, and CRM-expo, Leading Trade Fair for Customer Relationship Management, are held concurrently and show all aspects of corporate IT. The extensive exhibition programme and the first-class accompanying programme on the key topics ERP, CRM, ECM and Output Management address all IT managers and decision-makers. The three trade fairs thus offer the perfect platform for the exchange of information and ideas between industry leaders and trade visitors. 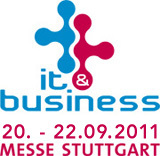 The DMS Expo in Stuttgart is parallel with the IT and business, rather than trade fair for IT Solutions and the CRM-expo, trade fair for customer relationship management. These three exhibitions together from the entire company IT. The extensive exhibition program as well as a top-class supporting program to the core areas of ERP, CRM, ECM and output management is aimed at IT managers and decision makers. The three trade fairs offer as the perfect platform for a successful exchange between industry leaders and experts. Hydraulics & Pneumatics, Transmission, El-cad, System, Industrial and Process Automation, Measure, control and regulatory instruments, Automation, Mechatronics, Electronics, Robotics, Industrial IT, PC programs, Computer networks, Business and planning, RFID, Traceability, Vision System, Consulting. start the 2014 exhibitors offering CEATEC JAPAN? ? Theme: "I bring the NEXT-dream, Draw the Future" (English: Next-Technology Makes the Future) and future drawn by the state-of-the-art technology: ? Contents , new business opportunities created by the spread to other areas and a wide range of fields, from upstream to downstream A lot of domestic and overseas media pay attention to the exhibition. CEATEC JAPAN will be a great PR opportunity where your company and product to be recognized around the world. If your company or organization has products and technologies to be introduced to the market, please give us contact. 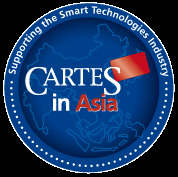 Welcome to the top electronics procurement platform in Asia! With the theme of "E-mobile Era, Smart Living", TAITRONICS 2013 focuses on Electronic Components, Batteries & Power Supplies, LED Lighting & Applications, Meters & Instruments, Process & Manufacturing, Wires & Cables, Smart Living & Consumer Electronics, Safety & Security and RFID Equipment & Applications. BROADBAND TAIWAN 2013 showcases Communication Components & Equipment, Broadband Applications & Services, and Mobile Communication. Come visit the fair and meet 1,000 industry suppliers face to face! Fort Worth Convention Center, Fort Worth, TX / U.S.A.
Renaissance Schaumburg Convention Center Hotel / U.S.A.
2014 IPC MIDWEST Exhibition & Conference will be held on September 28 – October 2, 2014, at Renaissance Schaumburg Convention Center Hotel, Schaumburg, IL. IPC Midwest offers you a comprehensive, value-added regional exhibition package at one of the lowest rates in the industry. CAD Related Tool, CAE/Other Analysis Tool, Production Management System, Processing Management System, Factory Simulator, Document Management System, Consulting for Manufacturing Industry, Support and Consulting Services in the Application of Packaged System for Manufacturing Industry, Technologies for Manufacturing Industry, Production Management System Zone, Instrumentation/Control System Zone, Outsoursing & Consulting Zone. 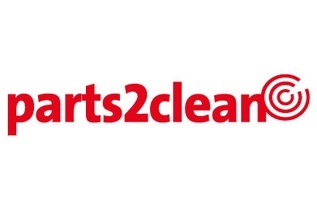 The international trade show for cleaning systems and infrastructure services held in September 2014 serves as an ideal platform for new contacts, corporate image building and potential business deals in the international cleaning market. Telecommunication Technologies, Cable Technologies, Wireless, Global satellite, Cellular & Trunking communication technologies & equipment, Technologies & equipment of wireless data transmission, Telecommunication Networks Operation, Communication operators, Operators of data network, Postal Communication, Satellite and cable TV, Radio broadcasting and TV facilities, Information technologies. Raw Materials, Packaging Components and Accessories, Packaging Manufacturing Machines, Printing, Coding, Marking, Labeling and Identification Machines, Machines and Equipment for Shipping and Protection, Processing of Agricultural Products into Food Raw Materials, Stabilization and Ripening, Liquid Flow Management, Other Services and Equipment for Food Processing, Professional Organizations, Local and International Authorities. Access Control Systems, Alarm Equipment, Alarm Screens, Alarms, Annunciators, Audio Components, Audio/Video Control Systems, Authentication Products, Automatic Fire Detectors, Batteries, Biometrics, Building Facilities, Automation, Building Materials etc. Zur nächsten security essen vom 23. bis 26. September 2014 erwarten wir erneut über 1.000 Aussteller aus 40 Nationen und Fachbesucher aus 115 Ländern. Seien Sie dabei, schreiben Sie mit uns Erfolgsgeschichte – die security essen ist Ihre Drehscheibe für internationale Geschäfte! Application Development, B2B / B2C Solutions, Content Management, Data Warehousing, E-Learning, IT Consultancy, Outsourcing Services, Security Management, Software Developers & Vendors, System Integration, Asset Management, Business Intelligence, IP Technology, Portal Software, Web Services. Pennsylvania Convention Center / U.S.A.
With more than 800 companies on display and more than 12,000 colleagues, the NSC Congress & Expo is the safety, health and environmental industries' leading networking event. Exhibitors from around the world are attracted to this event. Whether you are searching for the latest technology or the tried and true products and services, this is the exclusive venue to accomplish all of your workplace needs. Avrasya'n?n bir numaral? 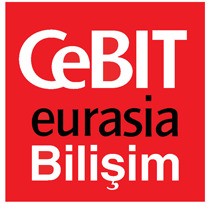 Bili?im, Teknoloji ve ?leti?im Platformu CeBIT Bili?im Eurasia ve CeBIT Global Conferences Bili?im Dünyas?n? bir kez daha bulu?turmaya haz?rlan?yor. CEDIA EXPO brings together qualified prospects actively looking to introduce their clients to the latest solutions in networking, security, energy management, entertainment, home health, and automation. 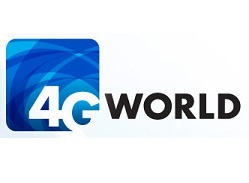 Where independent event competitors focus only on one technology, 4G World looks at the breadth of mobile infrastructure technologies including LTE, HSPA+, WiMAX, Wi-Fi, and the full breadth of mobile business and technology issues starting from the device and application, to the carrier access and core infrastructure, and leading the enterprise. From 31 August to 5 September the leading brands of the home appliances industry will be represented on the Berlin Exhibition Grounds. Not only do today’s home appliances make life in the home easier and better, they also reflect such lifestyle trends as healthy cooking, wellness, the efficient use of energy and conservation of resources as well as an easy-going lifestyle and maintaining a healthy diet. Simple controls, intelligent technology and, of course, excellent design, are the outstanding characteristics of the latest electrical home appliances and small appliances from leading manufactures. Located in the heart of the offshore industry in Aberdeen, one of only eight 'Super Cities' leading the UK economy, the exhibition brings together the many companies who supply products and services specific to the offshore sector in addition to more traditional industries representing processing, power generation, paper, distilling, water and waste, and marine engineering in north east Scotland. 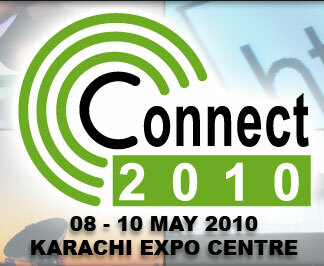 From its inception in 2001, Largest IT event ITCN Asia, now being organized for the 13th consecutive year, has grown up as the biggest IT & Telecom extravaganza of Pakistan. Most powerful brands of the world will showcase their state-of-the-art products and services which would allow the user community to get exposure to a wide range of technology and solutions under one roof. Most importantly, it would provide an opportunity for business-to-business alliances, leveraging their mutual strengths. ITCN Asia Exhibitions & Conferences have been playing a pivotal role in landmarking the image of Pakistan on the world IT Map, bringing in huge foreign and local investments in the Country. 主办单位: Ecommerce Gateway Pakistan (Pvt.) Ltd.
Secutech Vietnam, the largest security and fire safety trade show in Vietnam introduces the latest product launches and technologies to security users and channel players. 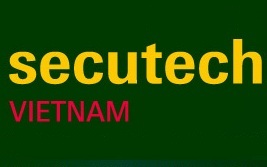 With the great support from Vietnamese government, it has been held for four years and has become the leading security trade show for global suppliers and local buyers in Vietnam. The exhibition gathers world-renowned international manufacturers and record number of visitors year by year and is a proven interactive marketplace for product sourcing and networking opportunities for Vietnam's security and fire safety industries. 6-8 August, 2014,IPC & EMBEDDED EXPO 2014 will be held at the Shenzhen Convention and Exhibition Center. As the annual IPC & embedded industry event, IPC & EMBEDDED EXPO 2014 will focus on showcasing the latest technologies, products on mainstream architecture including X86, ARM, ASIC and FPGA, as well as embedded solutions related to vertical industries. During the exhibition, seminars themed on hot topics such as medical electronics, smart home, motor control, smart metering and industrial communication will be held. Senior experts engaged in the fields of automation, network communication, security / monitoring, medical electronics, automotive electronics, digital signage, railway transportation, smarter city, Internet of Things will be invited to provide their professional interpretation on how embedded technology can meet diverse specialization requirements for various industries. Accessories & Peripherals, Audio Equipment, Computer Furniture, Consumer Electronics, Education & Training Electronic Media, Entertainment Software, Gaming & Entertainment, Home Electronics, Keyboards, Laptops, Multimedia, Networking, Notebooks, Office Automation, Online Resources, Personal Computers, Printers, Publishing, Scanners, Software, Stationery, Telecommunication Products, Video Equipment, Wireless Technology, Work Stations. 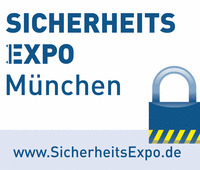 Sehr geehrte Damen und Herren, liebe Messebesucher, als Schirmherr begrüße ich Sie ganz herzlich zu der inzwischen schon traditionellen SicherheitsExpo in München. Ein Mal jährlich kommen hier die „Sicherheitsanbieter“ auf der einen sowie die Sicherheitsverantwortlichen und Berater unterschiedlichster Unternehmen und Organisationen auf der anderen Seite zusammen – und das aus gutem Grund: Die Münchner Fachmesse für Schutz und Sicherheit, gewinnt von Jahr zu Jahr an Bedeutung. Sie ist für die Sicherheitsbranche weit über den bayerischen Raum hinaus nicht mehr wegzudenken! 主办单位: UKIP Media & Events Ltd.
Walt Display World / U.S.A.
Once again we will be providing our attendees with exclusive and timely content that matches their needs. By attending ISC, you will be connecting with 300 expert speakers who can share their perspectives on the latest developments in high performance computing. Featured this year, are topics such as the future direction of HPC technologies, life science applications, big data, quantum computing, and the real-world value of HPC. 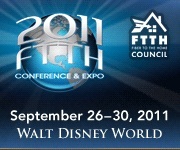 InfoComm returns to Orlando, Florida, in 2011, bringing a stronger event than ever before. With a 7% increase in exhibitor participation and attendance topping 32,000 AV professionals, our 2010 Show in Las Vegas was a huge success — our second largest ever. 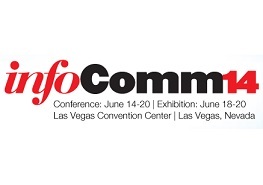 As the world of pro-AV expands with the integration of IT, InfoComm is growing with it. You can expect a broad range of the finest in AV communications in Orlando this June. Across the sector, industry professionals all agree: transport logistic China has grown into the most important meeting place for the entire transportation, logistics and air cargo industry in Asia. This leading industry showcase for the whole of the Far East is highly regarded not only for its extensive coverage of logistics products, technologies and services. It also benefits from the top-quality organization by the internationally experienced team of exhibition professionals at Messe München International. Not surprisingly, an ever growing number of enthusiastic visitors and exhibitors attend this show every time. 2014 Display Taiwan focus on display application, end product, component, material and display product manufacturing equipment. VoIP switches, gateways and handsets, collaboration software and platforms, multimedia call centers, videoconferencing systems and outsourced collaboration and conferencing systems, firewalls, intrusion detection and prevention systems, network admission control, VPNs, authentication, identity management tools, policy,risk management, forensics & incident response, antispam & antispyware, bandwidth shaping, acceleration, network management, XML processing. Das TrendForum, die Einkaufstage für den südwestdeutschen Raum haben eine lange Tradition. Für den Facheinzelhandel ist das Trendforum die optimale Gelegenheit, um sich mit neuen Ideen und Produkten für den Wettbewerb zu rüsten. An zwei Orten werden Sie das Trendforum im Sommer 2014 erleben können: Vom 12.-14. Juli in Sinsheim und Vom 13.-15. September in Friedrichshafen am Bodensee. Wherever customer service is crucial, self-service, or kiosk, technology is on the rise. Kiosk installations are growing at a rate of at least 35% per annum in Europe, and are set to rise further and faster every year. Airports are installing check-in kiosks, supermarkets are adding terminals to more branches every day, banks offer their customers ever more sophisticated service by kiosk - even fast food has become faster by kiosk! On average, kiosks deliver an 18% increase in sales, not counting the many intangible benefits of an enhanced customer experience, better service and brand awareness. The applications are endless and so are the opportunities. Intersolar Europe provides you with the perfect opportunity to meet your target audience: both established solar experts and newcomers to the industry. Visitors include decision-makers from industry and commerce, as well as solar professionals and service providers. High-caliber visitors offer exhibitors an ideal opportunity to establish valuable contacts and develop new market potential. Process Measurement & Control Systems, Analytical Instruments, Environment & Pollution Control Instruments, Electrical Measuring Instruments & Systems & Test & Measuring Instruments. Project Lebanon 2014, the 19th edition of the International Construction Trade Exhibition for Lebanon & the Middle East is the premier event of its kind in the region bringing together industry leaders from around the world. In the 2013 edition, 712 exhibiting companies from over 25 countries showcased their latest products & services to over 20,000 visitorsbusiness platform for the industry, connecting people and industries in a thriving market. San Diego Convention Center / U.S.A. 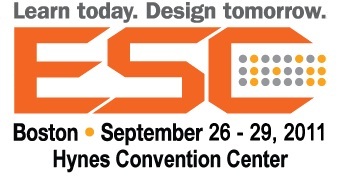 Display Week is the premier worldwide event showcasing advances in electronic display technology. Electronic displays by themselves make up a 100 billion dollar industry, and more importantly serve as the manner in which a majority of consumer electronics differentiate themselves. The Display Week Exhibition provides a venue where display technology and product providers can meet with the engineers, designers, and business development decision makers driving the integration of new display technology into products. In the product area AMICOM - entertainment, communication and navigation - you will learn how to turn your car into a movie theater, a concert hall or a command center. Here you can test the best car audio systems, the latest navigation modules and experience how to integrate smartphones and tablet PCs in your ideal vehicle system. In addition, also products such as Tablet PC, Headset, and Smartphone Apps & Content are presented. From the smallest device to the largest innovation - make products that will shape our mobile lives. Telecommunications Service Providers (Land Lines, Mobile & Wireless), Telecommunications Systems & Equipment Providers, IT & Software Companies, Internet & Broadband Services, Mobile Phone Manufacturers, Mobile Phone Retailers, Network Installers & Retailers, Cable Companies, Satellite Companies, Communications & IT Training Companies, Radio Equipment, Telematics, Internet Content Providers such as news, market data, learn online. Digital equipment and systems, Communications, Business processes, Banking and finance, Public Sector Parc, Future parc, Planet reseller, Services on the exhibition grounds, Solutions for the SME sector etc. marketing & selling persons, franchisee & business opportunity companies, Consumer Commissions etc. 主办单位: Messe Frankfurt Italia S.r.l. 主办单位: Arabian German For Exhibitions Ltd.
Data Center Expo gathers all kinds of power-saving and environment-responsive IT products and solutions. A great number of information systems managers, management executives and data center operators/constructors visit Data Center Expo every year to conduct face to face business with exhibitors. Advice, Training, Schools, Universities, Institutes, Textile Inspection Offices, Certification Professionals, Product Development, E-Logistics, E-Management, E-Business, Wholesale, Retail, Services, Information Media. 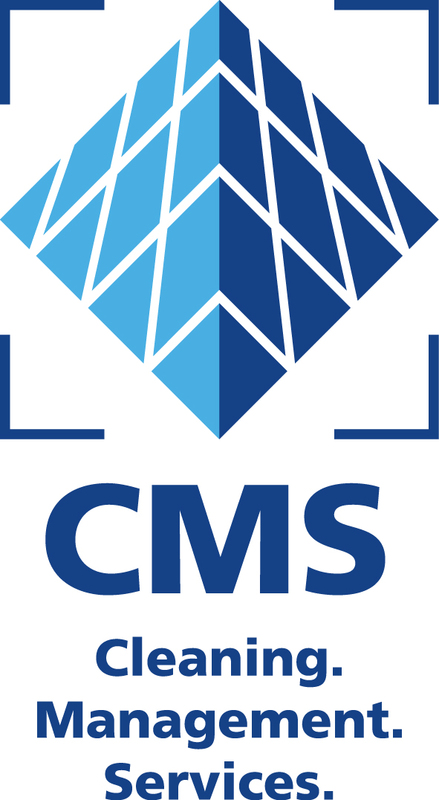 Cards Middle East is established as the Middle East’s premier smart card, payments and transactions show, The exhibition will focus on: Cards, mobile commerce, radio frequency identification, retail solutions and identification management. Expo Comm Mexico is an International Telecommunications, Wireless and Broadband Technology Exhibition and Conference. Ithas been delivering professional audiences in size, scope and purchasing power, spanning multiple markets in a way that is unmatched by any other event. As the region's leading Building Technology, Electrical Engineering and Security Show, Build4Asia will be staged at Hong Kong Convention & Exhibition Centre again on 7 - 9 May 2014 . The 14th Asian International Electrical Installation, Transmission & Distribution and Energy Efficiency Show launched in 1990, Asian Securitex has progressed into the leading security event for the Asia-Pacific region, thanks to the continuous support from industry key players, associations, publications and elites. 主办单位: Hong Kong Exhibition Services Ltd.
mechanical maintenance, electric maintenance, fluid engineering, maintenance instrumentation and control, diagnostics, materials, environment, safety and health, service. Donald E. Stephens Convention Center / U.S.A.
Las Vegas, Conference Center / U.S.A.
EDS is the premier annual event for the main players in the international electronics industry. Every year, the manufacturers of electronic components, instruments and accessories, as well as distributors and manufacturer's representatives, come together to meet, make contacts and build their businesses. Suppliers of industry goods and services also are on hand to market their products. 主办单位: ERA, NEDA and ECA. NEPCON China 2014 will be held at Shanghai World EXPO Exhibition & Convention Center from Apr.23th to Apr.25th, 2014. The event is one of the biggest and longest standing trading and sourcing platform in Asia featuring all major brands in the electronics manufacturing world. The exhibition will cover a floor area of 25,000 sqm; bring together over 500 leading companies from 22 countries and regions and 21,000 industry leaders & trade professionals. banking cards, national information resources center, mobile telecommunications system, digital video conference facility, Internet access, computer-aided decision-making system, electronic public services system, concept of the information society creation in Belarus, broadband Internet access, CDMA, Wi-Fi hot spot. Manufacturing equipment required for the development and manufacture of FPD (flat panel display), from parts and materials, to the latest touch panel display, such as organic EL, Finetech Japan is a professional technology exhibition of state-of-the-art industry exhibitors under one roof. In recent years, professional fair with a focus practical use is expected to "imprint" and "printed electronics" is also special! Visiting PALME 2014 will connect you with 100s of the leading brands from the professional sound and light industry, giving you the opportunity to try out all of their latest cutting-edge technology. MIPS - the largest in number and most representative list of participants International Specialized Exhibition for Security in Russia and the CIS. Security Exhibition MIPS - an ideal platform for product promotion, business development, market research, meetings with experts from different regions of Russia and abroad. TAITRA provides free “Connection Tour for you to join Fastener Taiwan 2014 (Kaohsiung City)”, which is the World’s 3rd Largest fastener show with 350 exhibitors and 850 booths, on Apr. 13, one day after the Taipei AMPA. 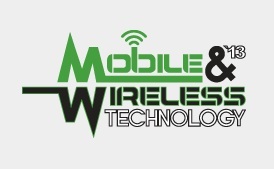 Internet, Wireless, Wireline, Networking and Telecommunications, Entertainment, Broadband. Walt Disney World Swan and Dolphin Resort / U.S.A.
RFID Journal LIVE! 2014, our 12th annual conference and exhibition, is the only event where you can learn how to use RFID technologies to improve your business, from real-world case studies across all applications, including asset tracking, logistics and transportation, supply chain management, warehouse and inventory management, security and more. Meet the leading industry experts and more than 200 technology providers, and see the coolest demonstrations, at the world's most important RFID event. Design Tools and Automation for Printed Circuits Boards (PCBs), Sub-Assemblies, Integrated Circuits (ICs) and finished products, Simulation and Prototyping Systems, Computer Aided Manufacturing (CAM) Systems, Computer Integrated Manufacturing (CIM) Systems, Manufacturing Process Management (MPM) Systems, Enterprise Resource Planning (ERP), Manufacturing Execution Systems (EMS) and Industrial Automation Systems. Sands Expo & Convention Center / U.S.A.
主办单位: Leverage International (Consultants) Inc.
Technical developments are stepping up a gear as the critical communications landscape readies itself for the next step of its evolution. Major change is looming on the horizon and communications professionals are under pressure to prepare for the arrival of a new data-rich future that promises huge benefits - but also greater complexity. Furthermore, political and financial pressures are pushing emergency services to embrace transformation at a fundamental level. Mandalay Bay Convention Center / U.S.A.
Hynes Veterans Memorial Convention Center / U.S.A. Attend EE Live! Conference and Expo and discover new solutions, and practical, actionable approaches to reducing time and complexity in your product development process. Get the latest information on Embedded Security, the Internet of Things, Embedded Android, C++, Open Source Hardware, and more. INDUSTRIE is the not to be missed event of the industrial sector located in Parc des Expositions of Paris Nord Villepinte, making this area the "Business to Business" meeting place of industry. A show leader in its field, which brings together 1,200 exhibitors, spread over 9 complementary sectors. 30,000 suppliers and contractors will go there to enjoy 5 days of business. New York, Javits Center / U.S.A. Attend Interop Las Vegas, the leading independent technology conference and expo series designed to inspire and inform the world's IT community. New in 2014: Cloud Connect Summit and the InformationWeek Conference. About Light+Building The world’s leading trade fair for Architecture and Technology Around 2,300 exhibitors take part in Light+Building at Frankfurt Fair and Exhibition Centre and almost one in two of the over 196,000 visitors comes from outside Germany. After Germany, the top ten visitor nations are The Netherlands, Italy, Austria, France, Switzerland, Great Britain, China, Spain, Belgium and Sweden. The most important visitor target groups are architects, interior architects, designers, planners, engineers, artisans, the distributive trades and industry. Jacob K. Javits Convention Center / U.S.A. Die VISION, Weltleitmesse der Bildverarbeitung, ist der Marktplatz für Komponenten-Hersteller, aber auch Plattform für System-Anbieter und Integratoren. Auf der VISION informieren sich OEMs, Maschinenbauer und Systemhäuser über die neuesten Innovationen aus der Welt der Bildverarbeitungskomponenten, Endanwender treffen auf eine Vielzahl an Systemintegratoren. Nirgendwo sonst auf der Welt wird das komplette Spektrum der Bildverarbeitungstechnologie in dieser Weise abgebildet. Alles zum Thema Bildverarbeitung erfahren Sie auf dem weltweiten Branchenevent vom 04. bis 06. November 2014 in Stuttgart. VISION - The Heart of Vision Technology. Moscone Convention Center / U.S.A. Assembly equipment, machines and systems, assembly workstations, handling devices for conveying, sorting, positioning, linking and feeding, industrial robots and joining technology, as well as components for drive, control and test technology, and services and dismantling technology. Microsystems Packaging and System Integration, Advanced MEMS and MOEMS Technologies, Assembly and Interconnect Technologies, Nano Structures and Devices, Reliability, Testing and Quality of Components and Systems, Materials for Micro and Nanosystems, Products, Equipment and Services, Commercialization and Infrastructure, Special aspects of integration for automotive, aerospace, RF and bio applications, Sustainability of Smart Systems. 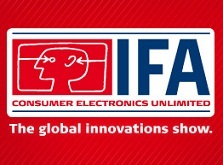 San Diego Convention Center, San Diego, Calif. / U.S.A.
BANNOCKBURN, Ill., USA, January 16, 2014 — IPC — Association Connecting Electronics Industries® announced today that all 135,000 sq. ft. of exhibit floor space has sold out for IPC APEX EXPO® 2014, making it the largest IPC APEX EXPO in the last five years. 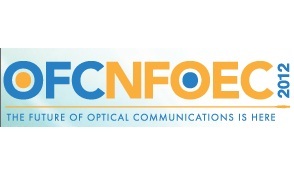 The premier technical conference and exhibition will take place March 25–27, 2014, at the Mandalay Bay Resort and Convention Center in Las Vegas. IPC APEX EXPO, the Premier Electronics Industry Conference and Exhibition Join thousands of colleagues from more than 50 countries at our industry's premier event — featuring advanced and emerging technologies in printed board design and manufacturing, electronics assembly and test. Find new suppliers with new solutions and connect with colleagues from around the world. We proudly present to you the Advance Programme of DATE 14. DATE combines the world’s favorite electronic systems design and test conference with an international exhibition for electronic design, automation and test, from system-level hardware and software implementation right down to integrated circuit design. 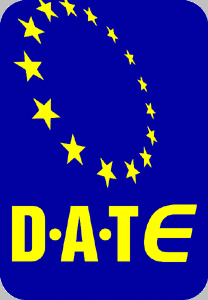 DATE 14 received 1090 paper submissions; an all-time high for DATE and an 8% increase over DATE 13. 890 of those submissions were eligible for review. DATE is truly an international conference. Besides the large share (46%) of submissions coming from Europe, 23% of submissions are from North- America, 27% from Asia, and 4% from the rest of the world. This clearly demonstrates DATE’s global reach and impact. INDESEC has the professional support and infrastructure it deserves. In its fourth edition and established as the region’s most successful homeland security event, it has organisers with an impeccable pedigree in organising exhibitions. A prestigious Advisory Committee of industry experts ensures it continues to reflect the needs of the market. Orange County Convention Center (OCCC) / U.S.A.
audio, video, networking, control, security and electrical products use EHX to generage leads, expand product awareness and makes sales with the fastest growing channel for home technology products. In 2014, CARTES Asia’s exhibitors, visitors and conference attendees will benefit from a new location right in the centre of Hong Kong: The Hong Kong Convention & Exhibition Centre. Secutech links the security channels and provides a unique platform for manufacturers to present their business value (R&D power, manufacturing management and long-term business supports with buyers) instead of only selling products. Just three weeks left until the start of the largest technical event which will be held at the Brno Exhibition Centre from 18 to 21 March 2014. The attention of visitors at Amper 2014 fight around 630 exhibitors from 20 countries. Visitors can enjoy the latest innovation from both the highly specialized field of electrical engineering, electricity, automation, or OPTONIKA, and understandable to a wider audience electromobility disciplines, such as ICT or security equipment. Rich will be an accompanying program in the form of seminars and discussions, but also a competition called Golden Ampere at which they valued most valuable exhibits. The project Contact-Contract serve Amper 2014 as a platform to establish new business contacts, while Initiative Job Fair will delight graduates of secondary and technical universities who seek employment in the sector. Since the first held in Shanghai in 1988, SEMICON China has become the first and foremost one of the semiconductor industry event in China, won the world today, the field of semiconductor manufacturing equipment and materials manufacturers. SEMICON China has witnessed China's semiconductor manufacturing industry thrive, accelerate the development of history, and will also contribute to the future prosperity and growth for the semiconductor manufacturing industry in China. 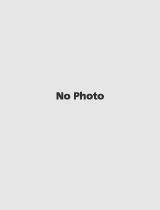 Gaylord Palms Resort & Convention Center / U.S.A. The PV Fab Managers Forum is the most important forum where suppliers and manufacturer meet and discuss current challenges and future requirements. No other forum brings together the whole manufacturing supply chain better and offers such a dens line-up of presentations from industry professionals. Building Materials & Maintenance (BMM), which will be held from March 21-23, 2011, at Expo Centre Sharjah, will cater to the continuing construction activities and an increasing demand for the services and products that are required for ongoing facilities management. Welcome to CSTIC 2014, one of the largest and the most comprehensive annual semiconductor technology conferences in China. 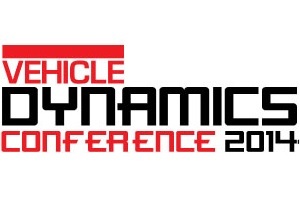 CSTIC is organized by SEMI and ECS, co-organized by China's High-Tech Expert Committee (CHTEC). It is co-sponsored by IEEE-EDS, MRS and China Electronics Materials Industry Association. CSTIC 2014 will be held on March 16-17, 2014 in Shanghai, China, in conjunction with SEMICON China 2013. 主办单位: SEMI, ECS, China's High-Tech Expert Committee. Mobile Equipments & Services, Wireless Components, Telecommunications & Internet Services, Network Components, Computer Systems, Multimedia, IT Security Tools, E-Learning, Integrated Call Center Systems, Voice Processing, Ethernet, Telemarketing, Service Providers, Customer Service Centres, Music & Messaging, Call Management Systems, Software Tools & Development System, Enterprise Solutions, Satellite Communication & Broadcasting etc. 主办单位: Pegasus Consultancy (Pvt.) Ltd.
As the biggest electric heating exhibition in China or even in the world and with huge success of 2013 event, China Electric Heating Exhibition 2014 will be still held in Shanghaimart from Mar 13 to Mar 15, 2014, aiming to adapt to the market demand and help enterprises to expand domestic and foreign market. test simulation, noise and vibration measurement, quality assurance, aerodynamics test, environmental test, driving dynamics examination, material fatigue examination, simulation software, engine test. Air Duct Cleaning, Asset Management, Boilers / Burners, Cleaning & Janitorial Equipments, Combustion Engineering, Condition Monitoring, Disaster Recovery, Energy & Power Management, Environmental & Waste Management, Factory Maintenance Equipments, Fire Safety, Health & Safety, Healthcare Facilities Management, Lighting, Parking Facilities, Process & Control, Production Engineering, RHVAC, Security & Access Control. A NEW exhibitor and content zone focussed on multiscreen streamed and consumed content platforms, and solutions - delivering the 'anytime, anywhere'. Los Angeles Convention Center / U.S.A.
Digital Marketing and Advertising Showcase will be a premiere show, which will showcase the digital marketing and advertising products, tools and technologies. The visitors of the show will be able to know a lot about the technological advancements in the related sector, which have made the industry hugely popular. 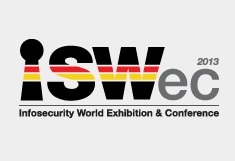 Infosecurity World Exhibition and Conference aims to answer the growing concerns of the international IT market regarding the threats to information security and protection of crucial and confidential data. On one hand this trade show will serve the requirements of the channel players and retailers in terms of providing them with a platform to display their products and services as well as indulge in networking and business development initiatives, while on the other hand, it enlightens the visitors about the emerging trends in data security and cyber security. EQUIP AUTO welcomes you from Wednesday 16th to Sunday 20th October 2013 at the Paris Nord exhibitions centre for its 21st session. Internet & Intranet, Security - Risk Management, Computers, Public Relations & Advertising, Telecommunications, Computer Networks, Electronic Documents Management, Marketing & Selling, Multimedia Technologies. 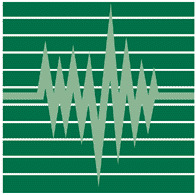 Accessories, Board-level Products, Communications, Computer System, Desktop Systems, Digital Cameras, Digital Audio/Vedio, IA Products, IC Design Imaging Systems, Input/Output Devices, Multimedia Systems, Monitors & Displays, Network Computing, Notebooks, Peripherals, Servers & Subservers Software, Storage Devices, Wireless, Internet, Wireline, Networking and Telecommunications, Entertainment, Broadband. The 7th International Fire & Security Exhibition & Conference - Fire & Security Pakistan 2011 is poised to introduce state-of-the-art technology and safety measures for the protection of people, facilities, machinery, merchandise and vehicles to avoid security incidents in the region. FeuerTRUTZ 2014 - Trade Fair with Congress for Preventive Fire Protection The Platform for Fire Protection Solutions – Exhibition Centre Nuremberg, 19 – 20 February 2014 FeuerTRUTZ is Germany’s first trade fair and congress that combines solutions for building, equipment and organizational fire protection. At this event in Nuremberg, planners, official experts, architects, building engineers, staff from official agencies and fire prevention authorities, and fire officers can obtain specific information and discuss innovative solutions and products for fire protection and fire control.The third edition of FeuerTRUTZ in 2013 was a convincing success with more than 3,500 exhibition and congress visitors and 165 exhibitors. Two partners join forces for this project: NürnbergMesse organizes the exhibition and the publisher Feuertrutz Verlag organizes the Fire Protection Congress. EuroShop 2014 (from 16 to 20 February 2014) will be Messe Düsseldorf’s launch of its new marketing campaign Expertise in Retail. This label will now serve to focus attention even more clearly on Messe Düsseldorf’s high level of professionalism in matters of retail exhibitions. Cables and bus bars, Communication engineering, Computer and communication technology, Data communications, Electrical components and accessories, Electronic engineering, Hi-tech products and new techniques, Industrial equipment and accessories, Installation and control equipment, Lighting and lamps, Programmable logic controls, Storage/enclosures etc. 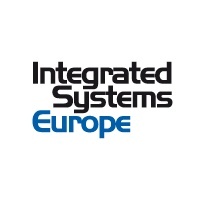 ISE is the No.1 tradeshow for professional AV and electronic systems integration. The event offers a rich mix of the latest technology from hundreds of exhibitors, diverse education sessions, industry-leading conference programmes and unparalleled networking opportunities. Computer Hardware, Peripherals, Networking Products, System Software Application, Database Management, Networking Technologies, Telecom Equipment, Broadband & web hosting services, Network Security Solutions, Multimedia Technologies, Blue Tooth & wireless technologies, Computer Components, Computer Supplies & Stationery, Computer Education, Training & Computer related Publications, ITeS/BPO, Future Products & Technologies in IT. Mandalay Bay Resort and Casino Conference Center / U.S.A.
LatinComm Conference and Expo is the first event of its kind to focus on the tremendous opportunities in Latin America. It is designed to give attendees the tools to create a Latin American business strategy and develop successful partnerships. Participants from North and South America (and other countries) will have the opportunity to network in a highly interactive atmosphere. INFOBIZ is a B2B event that will be held at Kuwait International Fairs Ground from 26 - 30st January 2014. INFOBIZ is in its 6th consecutive years. In the rapidly growing local IT infrastructure tuned to meet global IT developments, INFOBIZ is an ideal venue for presenting your company's products and services to a great volume of potential customers in Kuwait. The event provides a unique platform in a real business environment to IT business solution providers, vendors and/or their representatives for meeting and interacting directly with professionals and decision-makers in the industry. Also it provides best opportunity to share in-depth knowledge of their latest products that meets SMEs and ministries' e-business requirements to clients and/or information seekers in the exhibition. 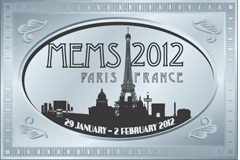 Reflecting the rapid growth of the MEMS field and the commitment and success of its research community, the IEEE MEMS Conference series has evolved into a premier annual event in the MEMS area. In recent years it has attracted over 600 participants and has presented more than 200 select papers in non-overlapping oral and poster sessions. Please view the Abstract Classification List for the fields in which we are seeking papers. Las Vegas Convention Center, LVCC / U.S.A.
11 - 13 December 2013 | Hall D, JIExpo Kemayoran, Jakarta - Indonesia Whether you are looking for the latest technology developments of the Indonesian police, security equipment, fire equipment, rescue equipment and solutions for your facility, implementing or to develop a comprehensive occupational safety and health programme, ASPACPOL 2013 Expo & Forum, Indo Security 2013 Expo & Forum and Indo Firex 2013 Expo & Forum are the answer. You will be able to meet exhibiting companies representing hundreds of new products - the biggest showcase of its kind in Indonesia. The International Technical Exhibition on Image Technology and Equipment, marking its 34th anniversary this year, has grown hand in hand with development of image processing technology and expansion of applications, and as a “machine vision exhibition” which boats the world’s highest number of visitors, will provide a site to send and collect information toward future expansion and exploitation of domestic and overseas markets, and contribute widely to development of the business field. 主办单位: Advanced Communication Media CO.,LTD. 主办单位: Adsale Exhibition Services Ltd.
Arthur R. Outlaw Convention Center / U.S.A.
ISA Automation Week 2011 is an extensive technical conference and supplier exhibition. It serves as the premier annual gathering of process and discrete automation and control professionals to network and benefit from their collective experience and expertise. Engineers, technicians, management—anyone involved in automation, instrumentation, and controls will find the program content compelling and current. The show occupied over 13,500 square meters at the ultra modern IMPACT exhibition center in Bangkok and offered unique opportunities for senior military personnel to exchange ideas and inspect an impressive array of the latest technology in all three services. Of heightened importance was the Security section which displayed state-of-the-art technology for both private and government requirements. Fire India & Safetyex exhibition was held at the Bombay Exhibition Centre, in Mumbai between 24th to 26th October 2013 and it was a resounding success. It was truly a most comprehensive and mammoth representation of the entire fire and safety industry and helped to bring together all relevant stakeholders like manufacturers, suppliers, traders, academicians, industry professionals and industry leaders, under one roof. 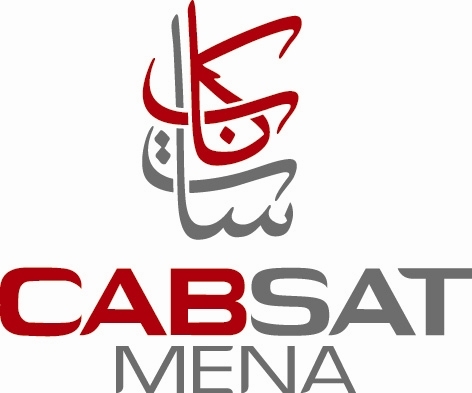 The Mobile 360 Series-Middle East conference will be held 21-22 October and will be co-located with GITEX at the Dubai World Trade Centre in Dubai, United Arab Emirates. This regional conference offers leaders in the mobile industry a platform to meet and discuss the key issues specific to the Middle East market. CIPATE 2011 is the unique official fair in China authorized for police equipment and anti-terrorism equipment and technology. With the strong support by related authorities, CIPATE is now the unique choice for the government sectors purchase related equipment and service. 主办单位: China Association for Science and Technology?CAST? IPOMEX 2013 IN MÜNSTER CROSS-BORDER SECURITY CONCEPTS IN THE FOCUS More than 4.200 experts of the police and security services visited IPOMEX 2011. The exhibition and conferences offered a wide range of the latest developments in security features and equipment. More than 120 satisfied exhibitors presented their products and services to the police forces, rescue services, fire brigades and disaster management organizations. 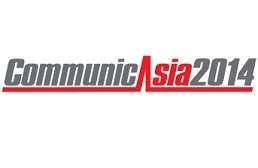 Mobile & Wireless Technology 2013 is one of most important shows focused on mobile computing, mobile devices and wireless networking related insustry at Asia Pacific region. China International Explosion Protection Electric Technology & Equipment Exhibition (Expec) and China International Petroleum & Petrochemical Technology and Equipment Exhibition (cippe), which are regular gatherings of petroleum and explosion proof industry, have been held for 7 sessions successfully. Expec is held alongside with cippe in Spring in Beijing every year. Wowex Fair 2011 for the housing industry, building and construction, home exhibitions. Wowex Expo 2011 fair can makers and housing companies as well as real estate managers, brokers and owners of rental houses on the latest products and solutions from this area. GPSs and accessories ,Software (localization, tracking, navigation and maps),Data (maps, satellite and aerial images), Navigators,PDAs and mobile phones. Services include Consulting services, Systems Development, Risk Managers, Tracking and monitoring systems installers, Tracking and monitoring, LBS- Localization-based services, Mapping Telecommunications Information Technology. 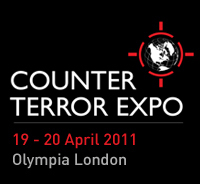 Counter Terrorism & Special Forces Equipment, ESM, ECM and Decoys, Surveillance and Counter-Surveillance, Small Calibre & Non Lethal Weapons, Area/Zone Protection Systems, Law Enforcement Equipment, Special Vehicles, Communication Intercept & Monitoring Systems, Crisis Response Equipment & Systems, Land, Air and Seaport Security, Maritime Security, Radiation & Nuclear (CBRN), CBRN Detection and Protection Equipment, Forensic Science.